This lampshade design is no longer available. In the woods there is a pond. 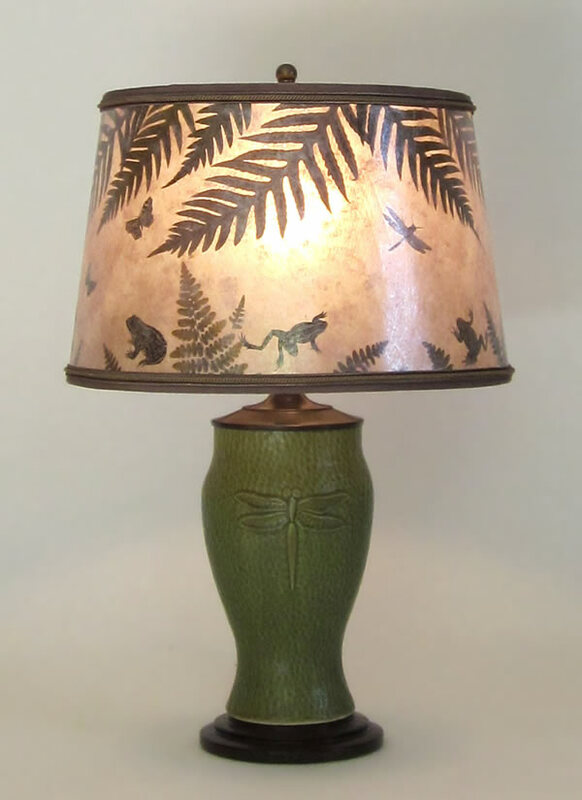 We’re pleased to present this light green dragonfly lamp. 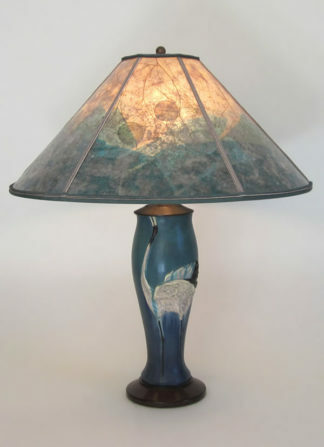 It is paired with the popular “Pond Scene” shade with fens, frogs, butterflies and dragonflies. 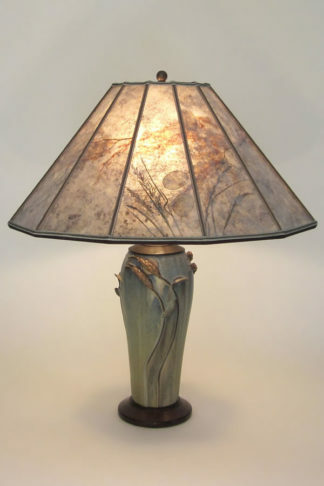 It is made of clear mica with accent trim to coordinate with the light green dragonfly lamp. 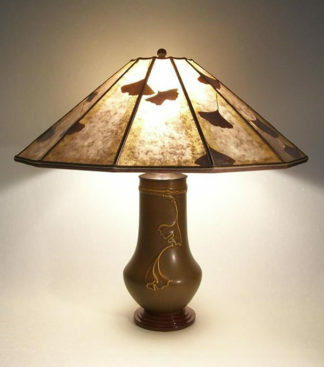 This shade is open enough, and the dragonfly lamp is wired with a three-way socket that it will accommodate up to 150 watts if desired. 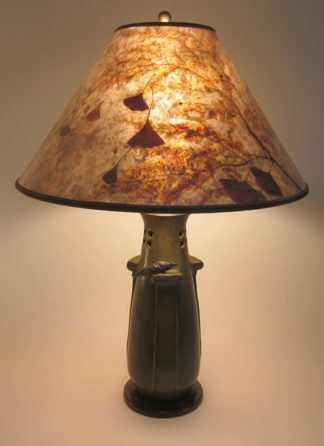 This light green dragonfly lamp is a good size for a bedside table, dresser, desk, small side table, occasional table and shelves.